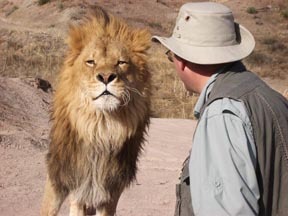 Our documentary on King David-Solomon and our DVD on Apostolic Fathers who were martyred for the truth of Christianity required that I rent a lion for some of the scenes. I was so close I could smell the lion’s breath. What a terrifying thing to fall into the jaws of such a powerful beast. I couldn’t help but meditate on what it was like for the early Christians to be despised and killed. 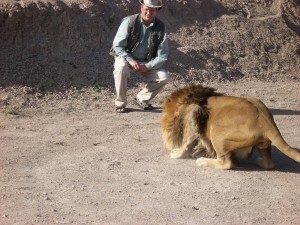 Squatting down with that lion in “lunge position” was a real eye-opener. I agree that the persecution has already begun. My question is: Where are the bishops? Are our shepherds hiding under their beds? They are supposed to be out front leading their flocks.